Home » Blogs » Does the President's Budget Slash Social Security and Medicare? Several lawmakers have claimed that President Trump's latest budget would "slash," "gut," and "devastate" Social Security, Medicare, and Medicaid. It is certainly true that the budget proposes substantial reductions in Medicaid spending, but the proposed savings from Social Security and Medicare are in fact quite modest in size, would have little effect on benefits, and would actually reduce out-of-pocket health care costs for most seniors. The President's budget identifies programmatic changes that would reduce Social Security spending by $25 billion, or less than 0.2 percent over a decade. Importantly, most of these changes are meant to reduce overlapping or improper payments and address certain inequities in the program (we explore many of the policies in our book SSDI Solutions). Just over half of the savings come from policies also proposed by President Obama in his own budgets. President Trump's budget also claims $48 billion in Social Security Disability Insurance (SSDI) and Supplemental Security Income savings from testing and eventually implementing different return-to-work strategies in these programs. We've noted before that while such pilots certainly hold promise, it is not feasible for them to generate such large savings so quickly, and this is clearly a budget gimmick. In fact, the Congressional Budget Office's analysis of the President's last budget scored this policy as having no savings at all. Yet to the extent any savings would materialize, they would come from individuals successfully leaving SSDI and returning to work rather than seeing their benefits being cut. Sources: Office of Management and Budget and Social Security Administration. Note: Numbers may not sum due to rounding. Some policies would also have non-Social Security savings not shown here. * = Identical policy proposed in past Obama budgets. The budget's Medicare savings are somewhat larger, but they come exclusively from reforming the delivery system, lowering drug prices, and reducing inefficiencies rather than cutting benefits for beneficiaries, and could be seen as broadly consistent with the President's promise during the 2016 campaign not to cut Medicare benefits. In fact, the Medicare policies in the budget would have the effect of reducing drug prices, health care costs, Medicare premiums, and cost sharing. In other words, President Trump's Medicare policies would reduce costs faced by seniors. In total, the budget reduces Medicare spending by about $334 billion, net of new spending – about 3.6 percent of baseline Medicare spending. * Between 2018 and 2028, nominal Medicare spending would grow by 120 percent instead of 134 percent. As with Social Security, many of the President's policies are similar to those put forward by President Obama. That includes reforms to graduate medical education (GME), limits on Medicare's coverage of bad debts, lower payments to post-acute providers, the equalization of payments for similar services in difference locations, and policies to reduce drug costs. President Trump's budget also includes several policies from past Obama budgets that have either not been scored or are administrative changes but would likely have significant savings. Nearly all of the changes in the budget would result in financial savings for Medicare beneficiaries. Some policies – like medical malpractice reform, reforms to Accountable Care Organizations, and improvements to the Stark rule – may help to "bend the health care cost curve." Others, like reducing Part B drug payments, would reduce Medicare Part B costs and thus reduce annual premiums. And others – most significantly in the drug space – will explicitly dedicate savings to expanding benefits for seniors. Sources: Office of Management and Budget and Department of Health and Human Services. Note: Does not include savings already enacted in the budget deal and includes net effects of moving certain Medicare spending to other parts of the budget. Certain other policies are not scored but would generate savings. Numbers may not sum due to rounding. * = Identical policy proposed in past Obama budgets. ^ = Similar policy proposed in past Obama budgets. To be sure, the President's budget's modest changes to Social Security and Medicare mean that the vast majority of its proposed spending cuts fall on other areas of the budget, such as Medicaid, the Supplemental Nutrition Assistance Program, and non-defense discretionary spending. Outlays for each of these would be at least 25 percent below their baseline levels for 2019-2028, with even deeper cuts in 2028. 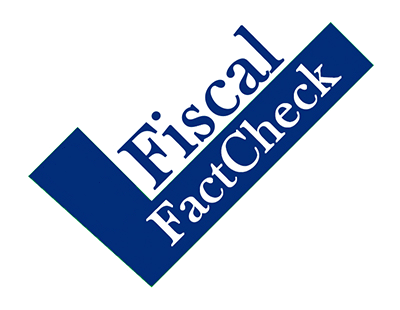 Claims that Medicaid spending is significantly reduced in the budget are therefore reasonable. But when it comes to Social Security and Medicare, there is no slashing, gutting, or devastating to be found. [*] This excludes about $4 billion in net savings from policies already enacted as part of the recent budget deal and uses net budget-wide savings for policies that would shift certain Medicare spending into new programs.